Day 1 of week 3 of a 5 week meso cycle involving “anaerobic capacity” trainings. These are the most unknown to me. I know how a threshold workout looks like. 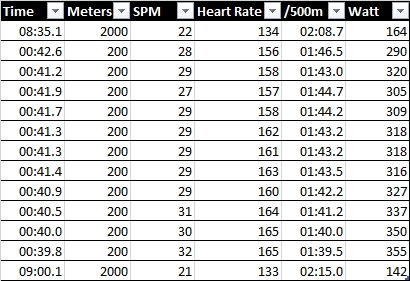 I know how Pete Plan intervals look like. 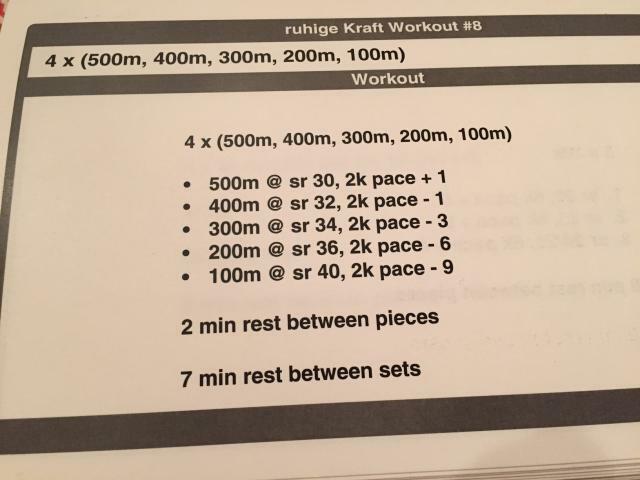 But these ones are supposed to be short intervals with long rests. Difficult to get the work/rest ratio and the volume right. One guideline is that the workout should easily fit into one hour. Also, the interval shouldn’t be a full out sprint. Looks like a bit too long for a true sprint and also takes more than 90 minutes to execute. Another time. This week is going to be a high volume week but today I longed for a short workout. DOMS from yesterday’s run, and overall tired after a quite intensive weekend. So I dialed up 200m intervals at 2 minute rest. That’s a very luxuriously long rest. Well, at least I did something and I will be rested for a day of long steady state tomorrow. 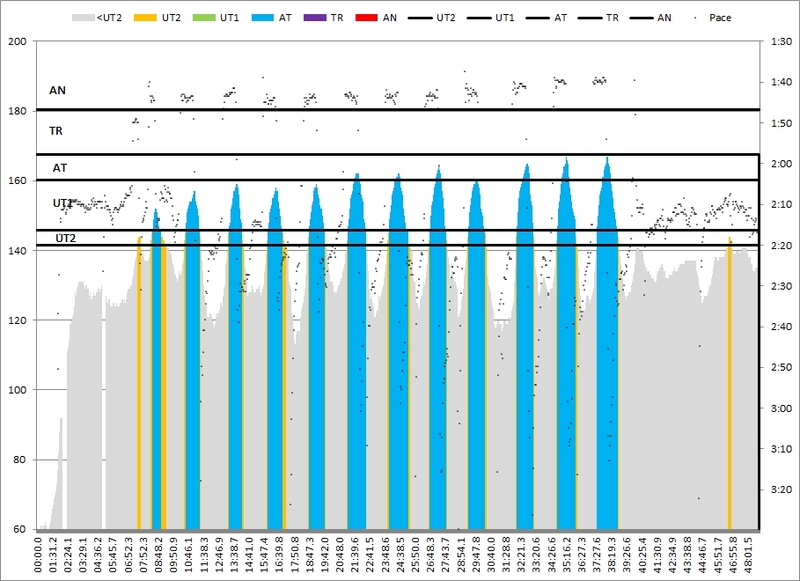 Looks like I miss the last stroke on most of the intervals.